It’s been a rather tumultous year for the house of Lanvin. First came the departure of its creative director of 14 years, Alber Elbaz, who was thought to have left by way of a “mutual agreement”, though it later emerged that he was forced out by the company’s shareholders. According to reports, the announcement of his departure was received with tears and cries of “Alber, Alber, Alber” from the 330-person staff and what followed was quite an ugly war of words and later, a lawsuit. 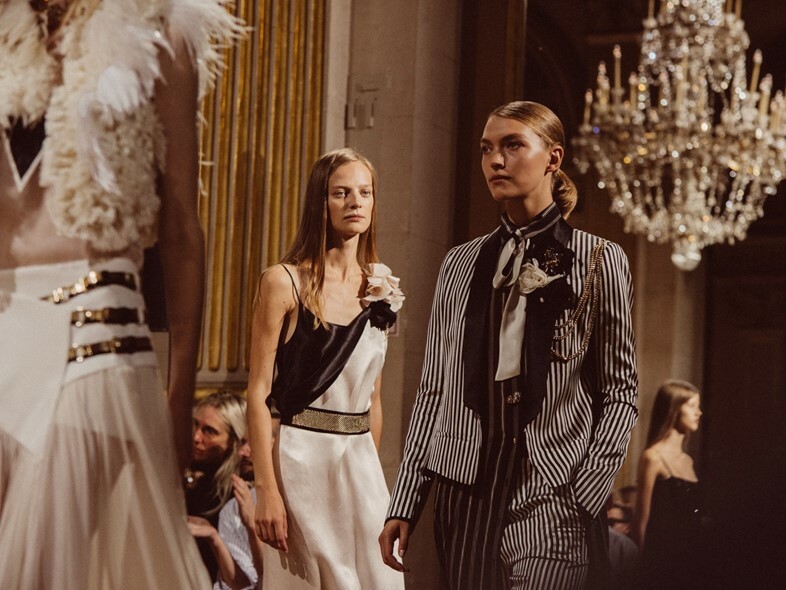 Anyway, in March Lanvin revealed that haute couture designer Bouchra Jarrar, known for her razor-sharp tailoring, would be replacing Elbaz and today she staged her first show. To embody this vision, Jarrar enlisted a crop of runway veterans including Grace Hartzel (above), Julia Nobis and Lexi Boling, as well as big-time social girls Jourdan Dunn, Taylor Hill and Karlie Kloss who closed the show. It’s a new era for Lanvin – what do you make of it?